Following the death of remand prisoner Liam Ashley in 2006, the ombudsman investigated the practices of the Department of Corrections regarding transport of prisoners and published a detailed report. 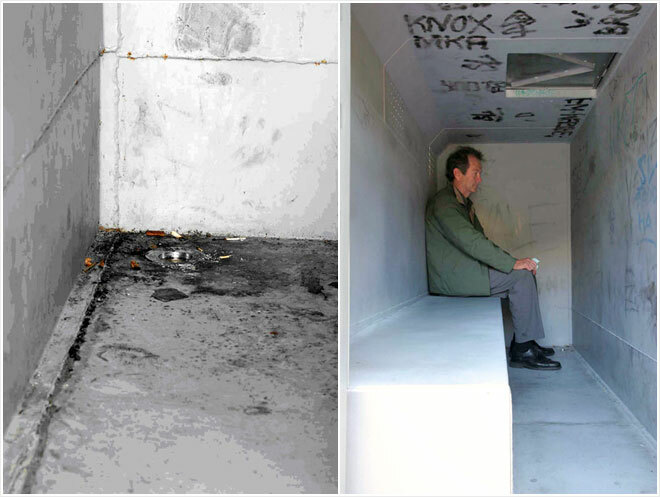 These photographs, included in the report, showed the cramped, dirty and potentially dangerous interior of a typical prison van. The report found numerous shortcomings in the way prisoners were transported and made a number of recommendations for improvements.